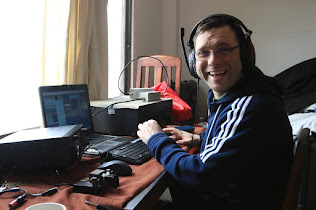 The 80 metres EI/GI counties contest on Monday last was well supported, with almost all counties on the air at some stage during the 3 hour event. Our correspondents report that some counties - in particular Wexford andTyrone - represented "rare DX" on the day, so stations from these and other rare counties would have been ingreat demand. Although the majority of stations heard were from EIand GI, there was also a good level of support from mainland Britain. As daylight receded, some continental European stations began to take an interest in the contest. As can be expected, operators had to contend with high noise levels most of the time. This encouraged some ofthe participants to switch to CW for extended periods:there seemed to be more CW activity this year than inprevious years, especially during the final hour. In particular quite a few mainland British stations were heard looking for CW contacts. The deadline for logs is 2nd February, logs should besent to contestmanager /at/ irts.ie as soon as possible.